We have had certificate mirror setup in one of my earlier article along with mirroring monitor and mirroring status by script. I have one more topic to share with my blog reader for mirroring. After mirroring you may need some regular maintenance in principal database and you have to pause/stop mirroring for time being. You have two choices in this situation. First choice should be avoided as long as possible as after removing mirroring, we have to set up mirroring all from scratch which may consume few hours if database is big so second option is obvious choice. I had recent requirement in one of my production server which hosted SQL Server 2008 R2. I had to move my database file to faster IO subsystem and hence I had to take my database offline and move datafile to new IO subsystem. If database is mirrored, we can’t take it offline and hence I have to pause mirroring. 5.) Set your endpoint from mirror (Slave) instance. If you don’t know information about port and other details of endpoint, get that information from sys.tcp_endpoints DMV from mirror server. --set database partner with principal server. 6.) Execute following commands in Principal server. --set database partner with mirror server from principal server. 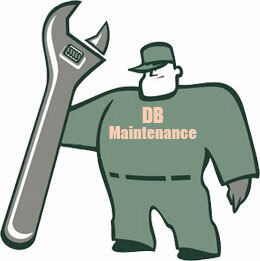 This is how I do maintenance for my principal database. 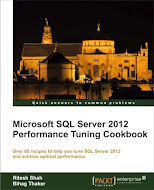 This entry was posted in mirroring, sql server and tagged mirroring, SQL Server on December 14, 2012 by Riteshshah.